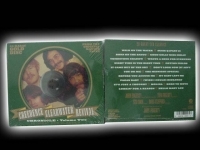 Each Creedence Fantasy Limited Edition, Out of Print 24k Gold Audiophile CD has been mastered from the original session masters and includes an expanded color insert with additional pictures and information. This is a true Collectorís find for those individuals who want to own the finest and rarest pieces of musical history. "Creedence Clearwater Revival, Chronicle Vol. 2 (includes 20 tracks)"
This 24k Gold CD has been remastered from the original session masters and includes an expanded color insert with additional pictures and information. Includes 20 tracks and 68 minutes of music. Creedence classics include: "Walk On The Water" "Susie Q" "Good Golly Miss Molly" "Born On The Bayou" "Tombstone Shadow" "Wrote A Song For Everyone" "Night Time Is The Right Time" "The Midnight Special" "Before You Accuse Me" "It's Just A Thought" "Molina" "Born To Move" and many more! 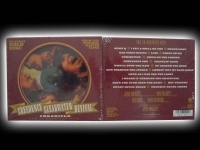 "Creedence Clearwater Revival, Chronicle Vol.1 (includes 20 tracks)"
This 24k Gold CD has been remastered from the original session masters and includes an expanded color insert with additional pictures and information. Includes 20 tracks and 68 minutes of music. Creedence classics include: "I Put A Spell On You" "Proud Mary" "Bad Moon Rising" "Lodi" "Green River" "Commotion" "Down On The Corner" "Fortunate Son" "Who'll Stop The Rain" "Run Through The Jungle" "Lookin' Out My Back Door" "I Heard It Through The Grapevine" "Have You Ever Seen The Rain?" "Hey Tonight" and many more!